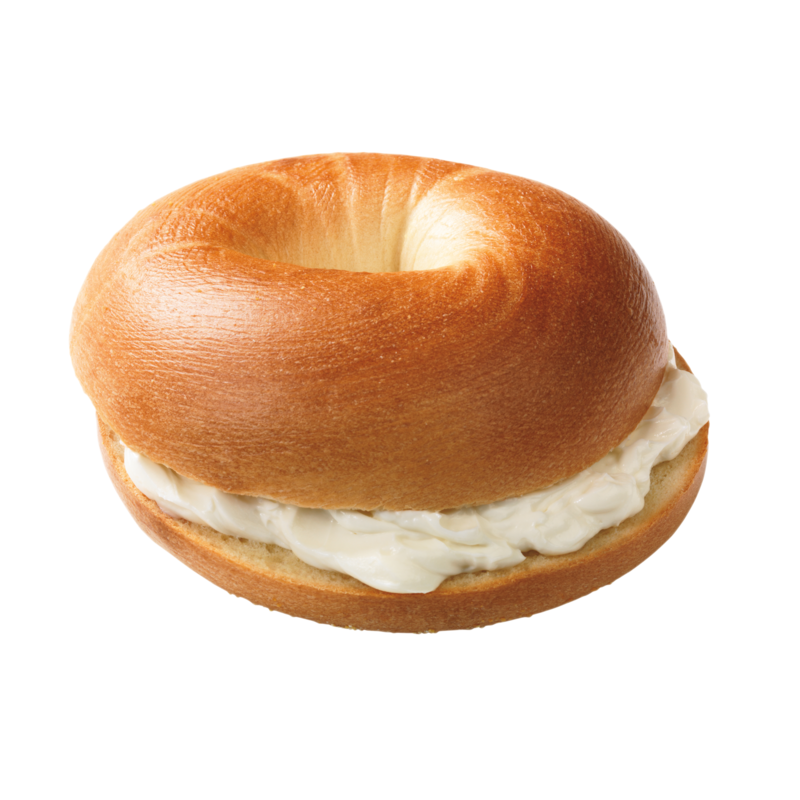 A bagel (Yiddish: בײגל‎ baygl; Polish: bajgiel), also spelled beigel, is a bread product originating in the Jewish communities of Poland. 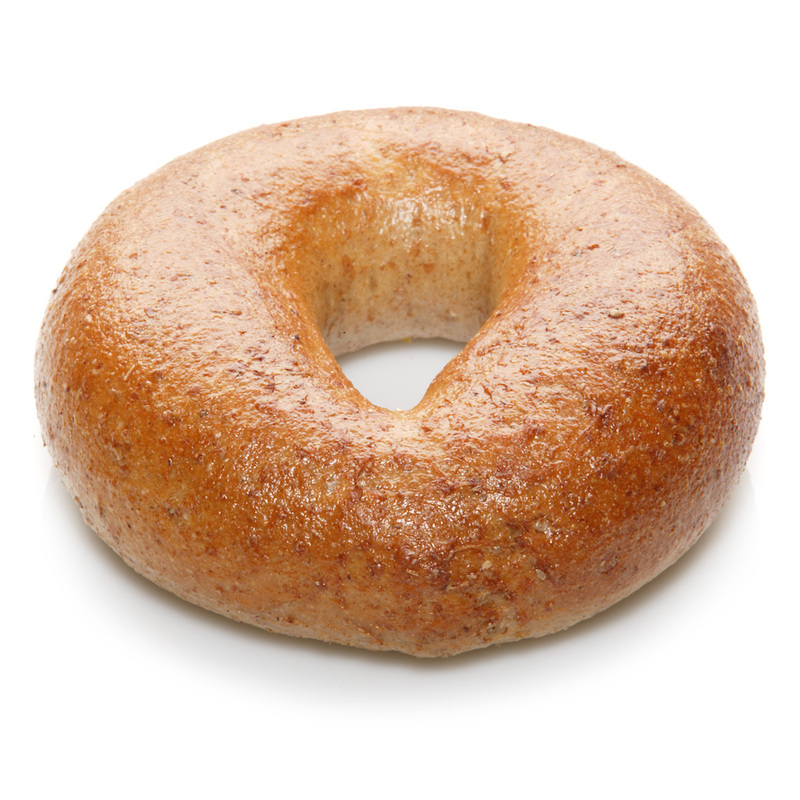 It is traditionally shaped by hand into the form of a ring from yeasted wheat dough, roughly hand-sized, that is first boiled for a short time in water and then baked. 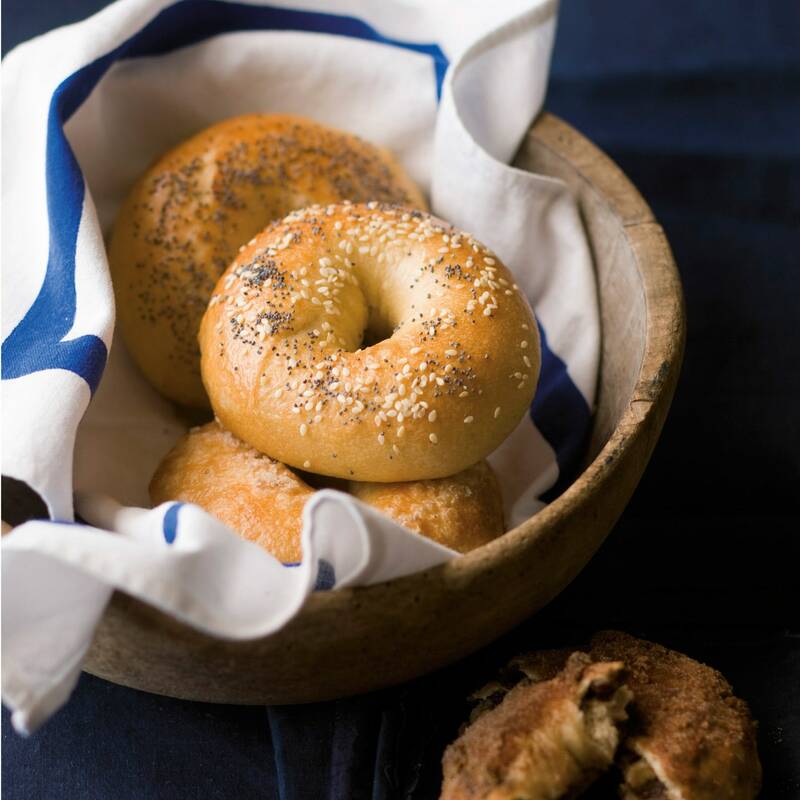 The result is a dense, chewy, doughy interior with a browned and sometimes crisp exterior. 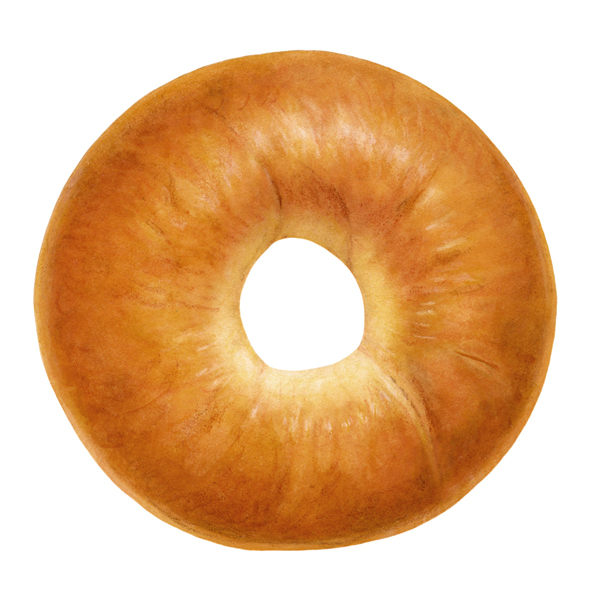 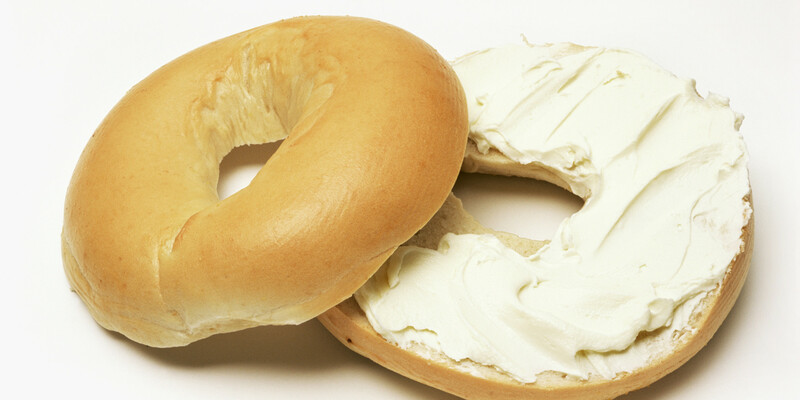 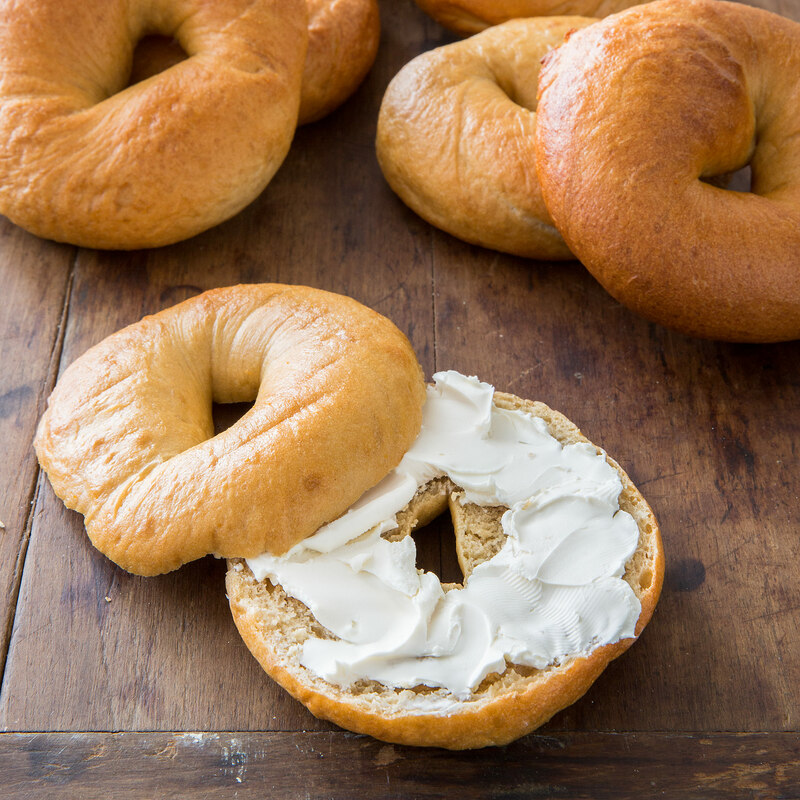 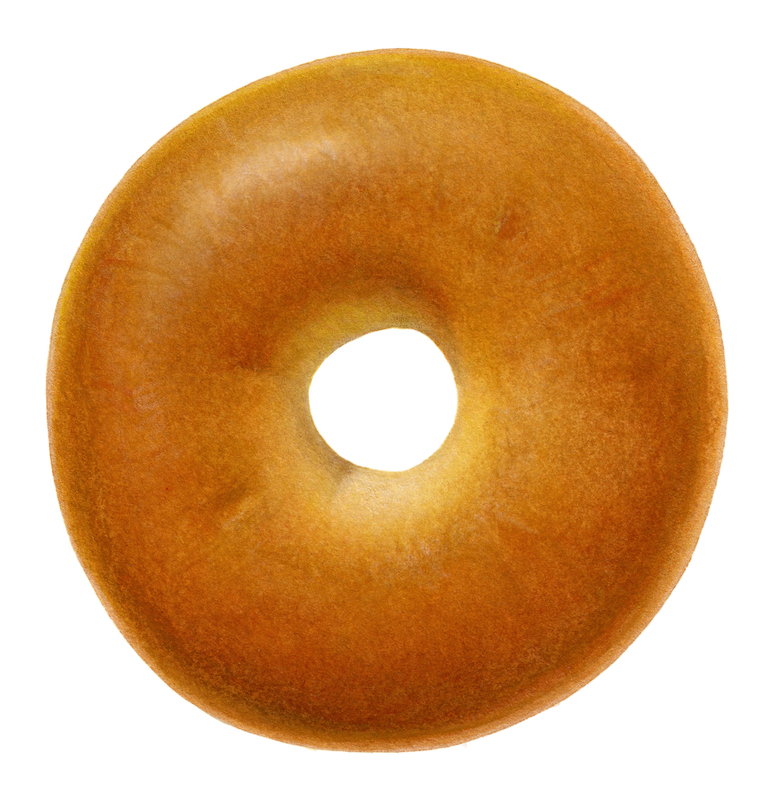 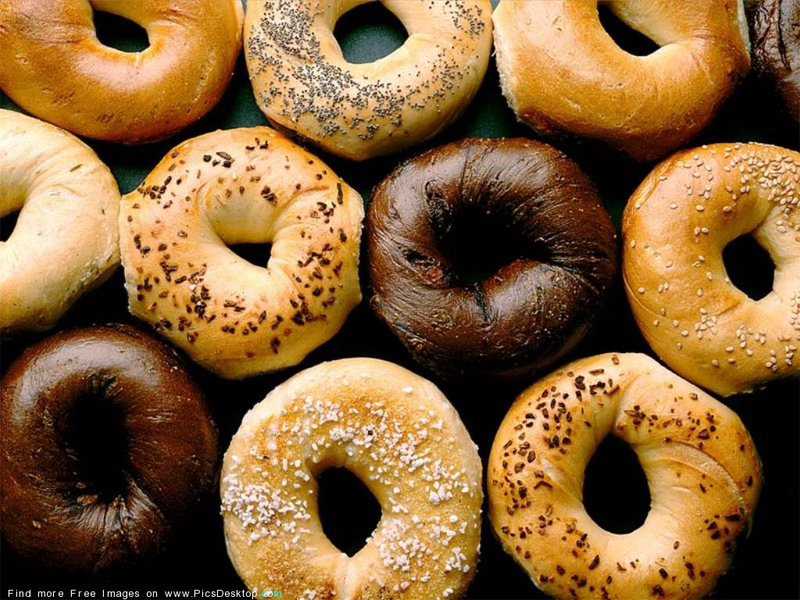 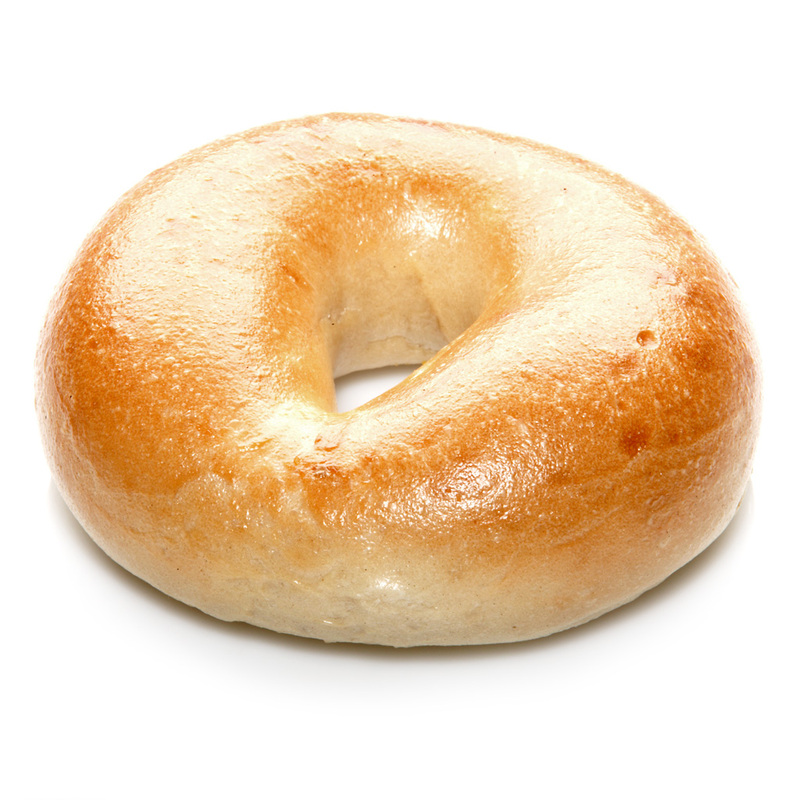 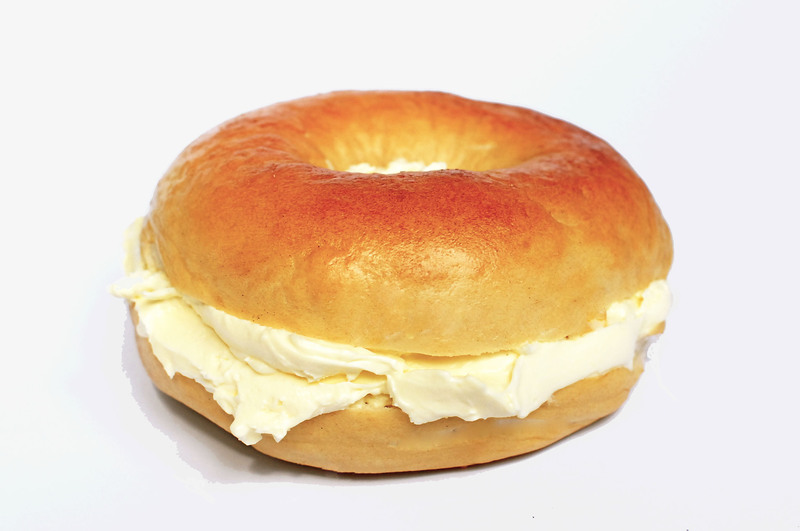 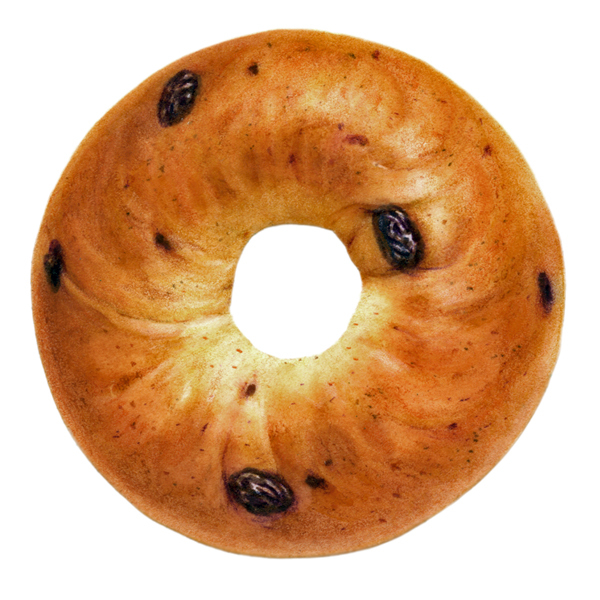 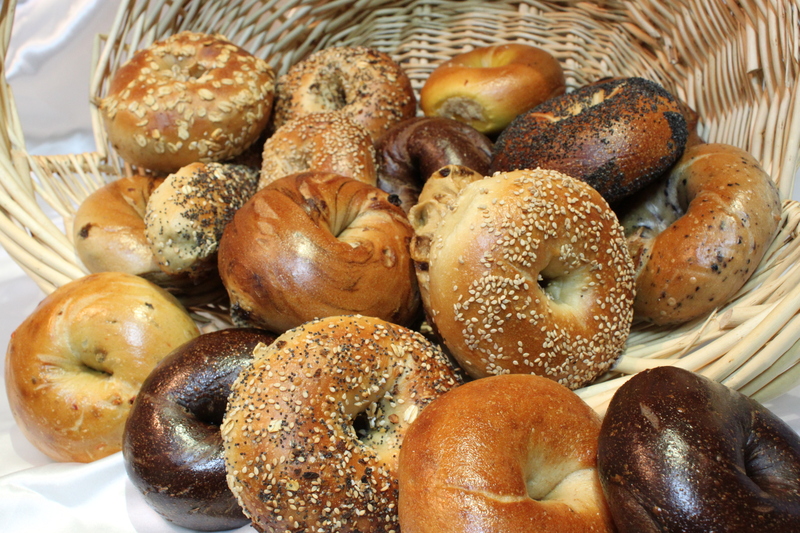 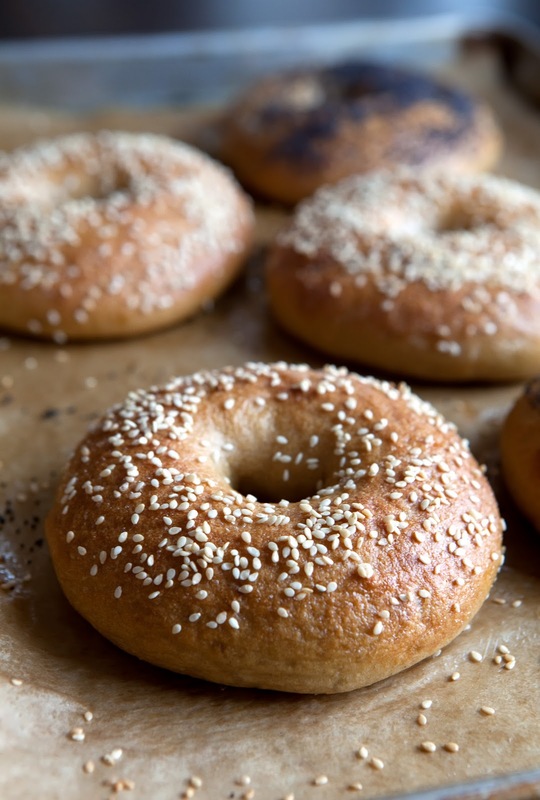 Bagels are generally eaten untoasted, as they have already been cooked. 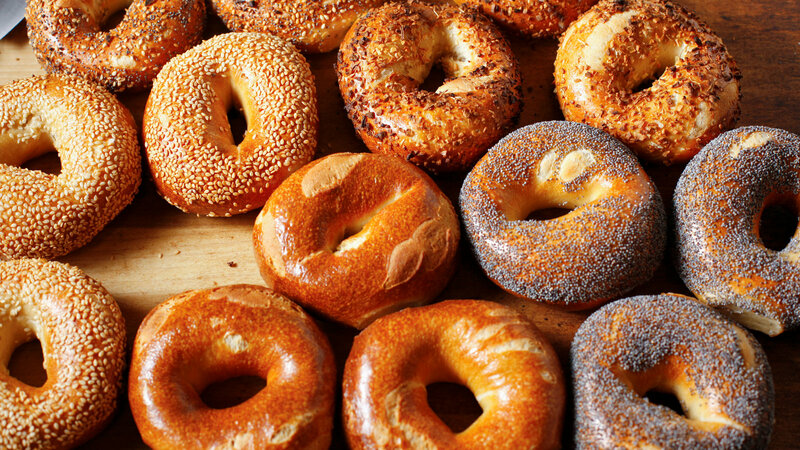 However, toasted bagels are also a popular choice for consumers. 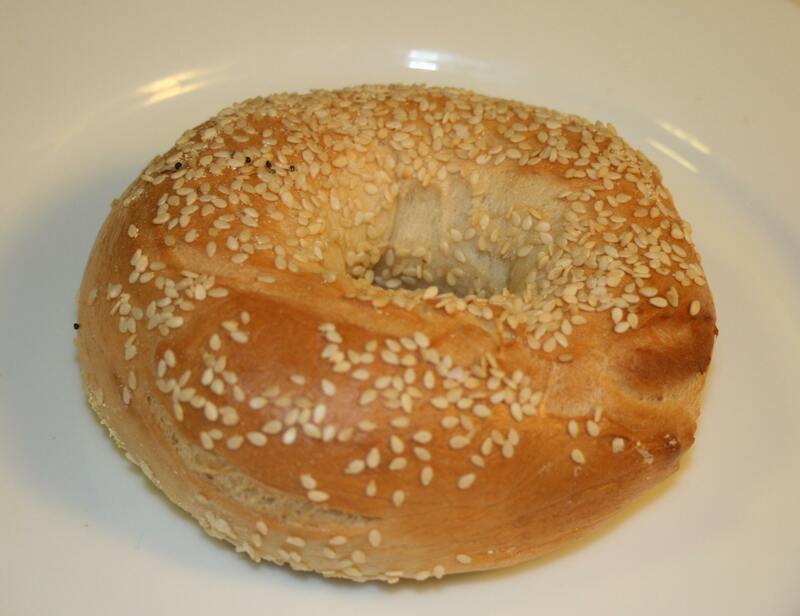 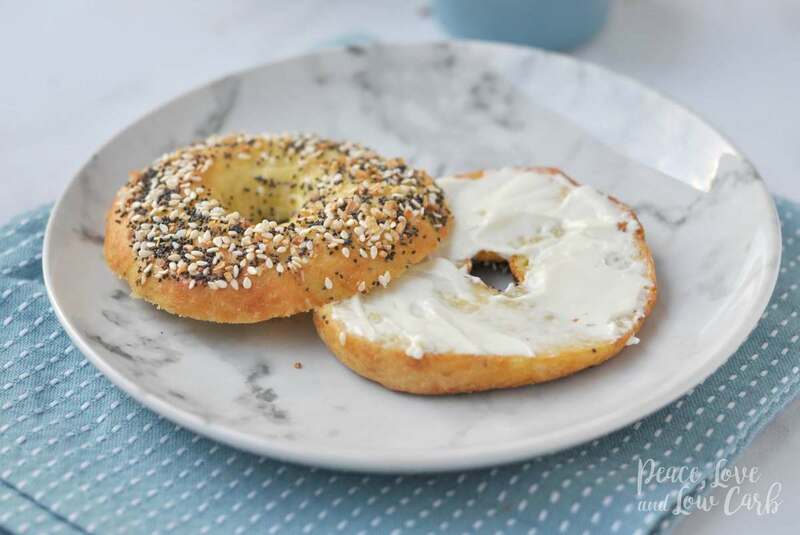 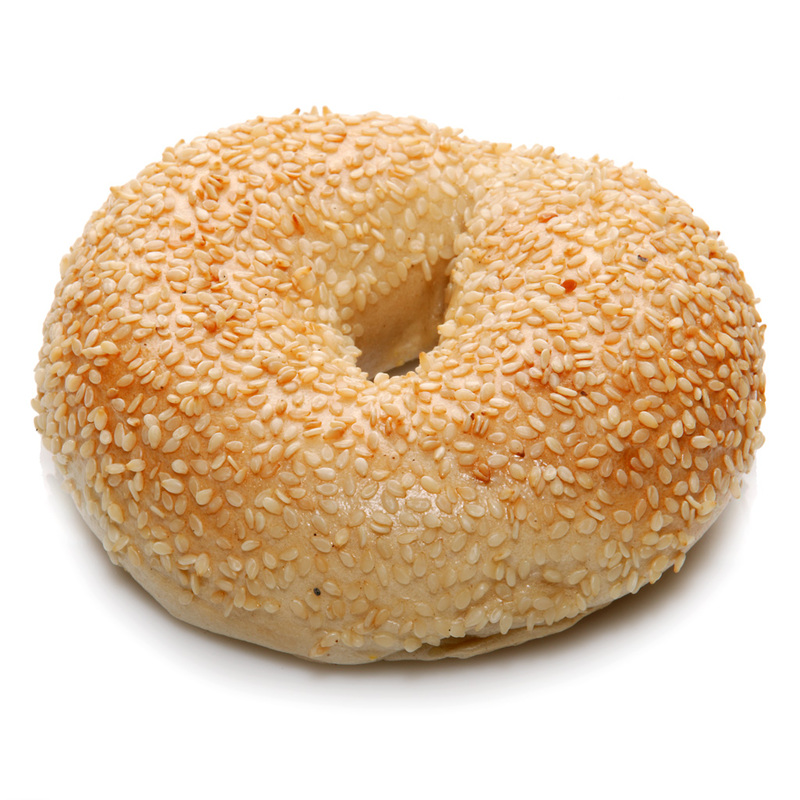 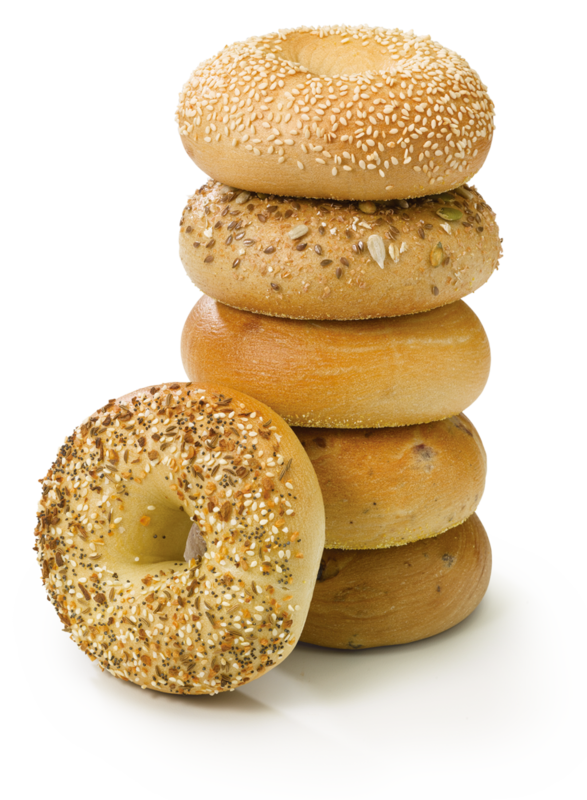 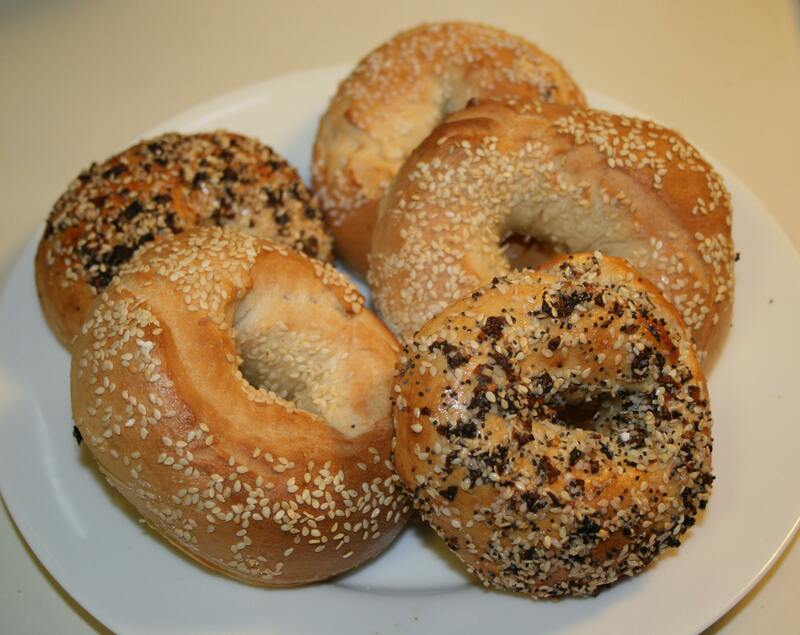 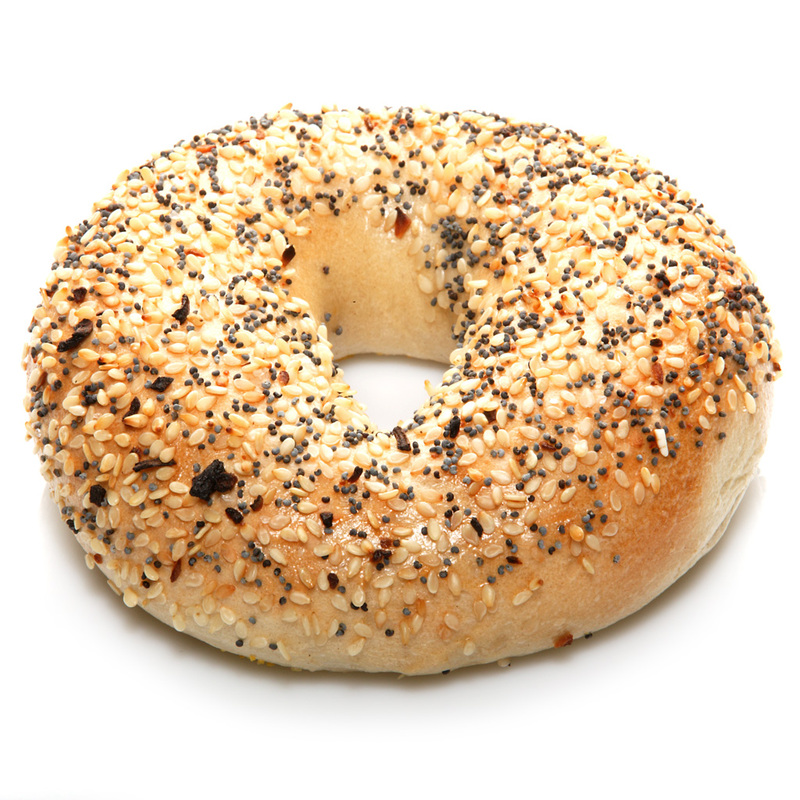 Bagels are often topped with seeds baked on the outer crust, with the traditional ones being poppy or sesame seeds. 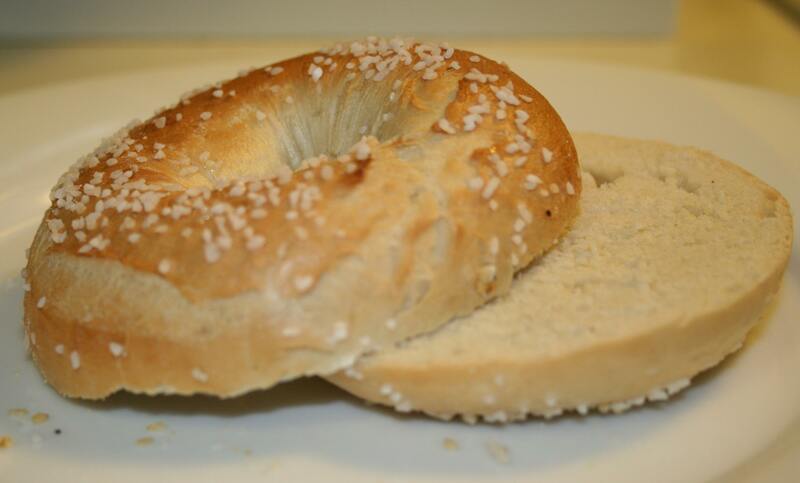 Some may have salt sprinkled on their surface, and there are different dough types, such as whole-grain or rye. 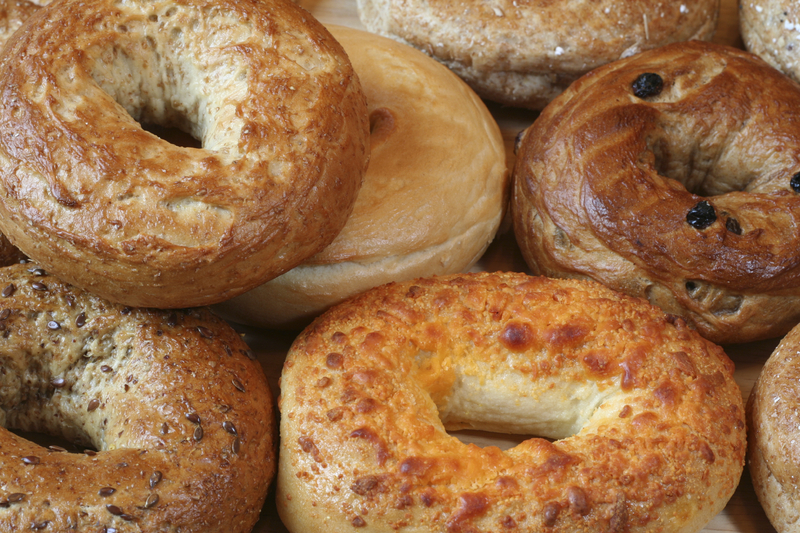 What a Bagel is Giving Away FREE Bagels This Month!